*We sell Riccar vacuums locally in our retail stores only. Riccar - Vacuums That Last! Thanks for visiting Capital Vacuum! Shop our Raleigh and Cary stores for Riccar vacuums - including Riccar upright vacuum cleaners, SupraLite lightweight vacuums, Riccar canister vacuums, Riccar hand vacuum. Riccar Sales, Service, Repair & Supplies. American designed quality vacuums that last! American Designed and Made in the USA! 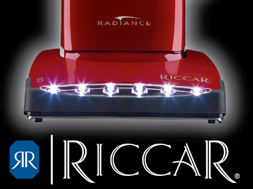 We are your exclusive Riccar Vacuum Cleaner dealer with stores in Raleigh and Cary, NC. 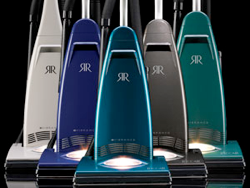 Riccar vacuum cleaners are made by an American company are among the top vacuum cleaners. These vacuum cleaners include the Riccar SupraLite RSL 8 lb. vacuum cleaners, Riccar Radiance & Brilliance vacuum cleaners, Riccar Vibrance vacuum cleaners, Riccar Canister vacuum cleaners, Riccar Hand vacuum cleaner, Riccar Air Purifiers and Riccar Carpet Cleaner. We service all Riccar vacuum cleaners. We have Riccar vacuum cleaner bags, Riccar vacuum cleaner filters, Riccar vacuum cleaner supplies, Riccar vacuum cleaner hoses, Riccar belts, Riccar brush rollers and Riccar parts. Top quality Riccar vacuum cleaners from Capital Vacuum!